How do I create a Numeric question in Quizzes.Next? 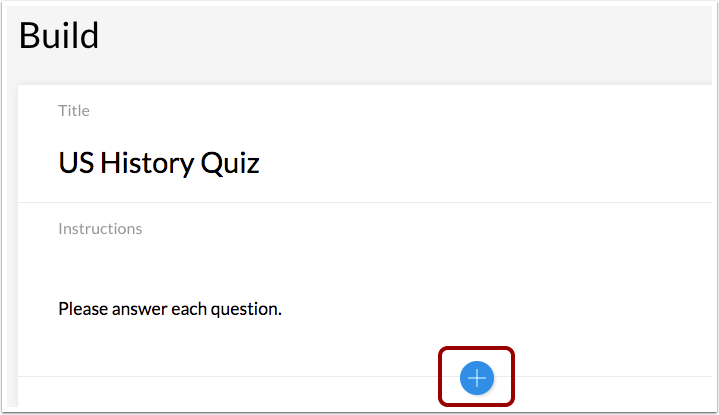 When creating an assessment, you can create a Numeric question in the Quizzes.Next. 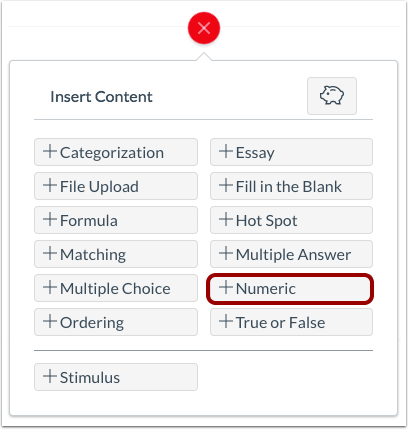 In a Numeric question, students are required to provide only a numeric response. Click the Add Numeric button. To select a requirement for the answer, select an option from the Requirement drop-down menu . You can select Exact Response, Margin of Error, Within a Range, or Precise Response. To add additional answers, click the Add Possible Answer link . To add an exact response answer, select the Exact Response option . Enter an answer by typing the answer in the Answer field  or using the arrows . Note: The Answer field only accepts numbers, periods, and commas. To add a margin of error answer, select the Margin of Error option . Enter the answer in the Answer field . Then add the margin in the Margin field  and select the margin type in the Margin Type drop-down menu . You can select percentage or absolute margin type. Note: The Answer and Margin fields only accept numbers, periods, and commas. 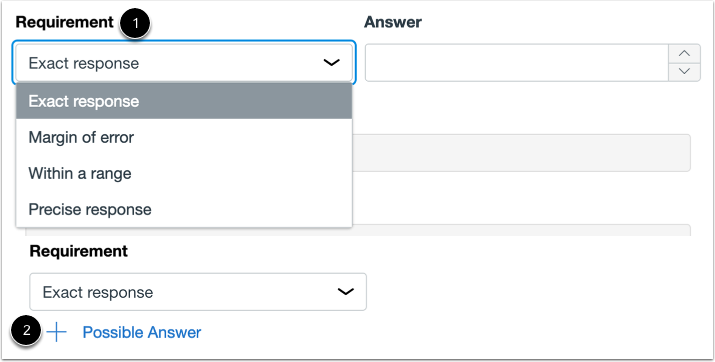 To add an answer that must fall within a specific range, select the Within a Range option . Then select the range start  and range end for the answer . Note: The Range fields only accept numbers, periods, and commas. To add an answer with a precise requirement, select the Precise Response option . Then select the answer , precision value , and precision type . The options for precision type are significant digits and decimal places. Note: The Answer field only accept numbers, periods, and commas. The Precision field only accepts whole numbers greater than 1. Previous Topic:How do I create a Multiple Choice question in Quizzes.Next? Next Topic:How do I create an Ordering question in Quizzes.Next? Table of Contents > Quizzes.Next > How do I create a Numeric question in Quizzes.Next?